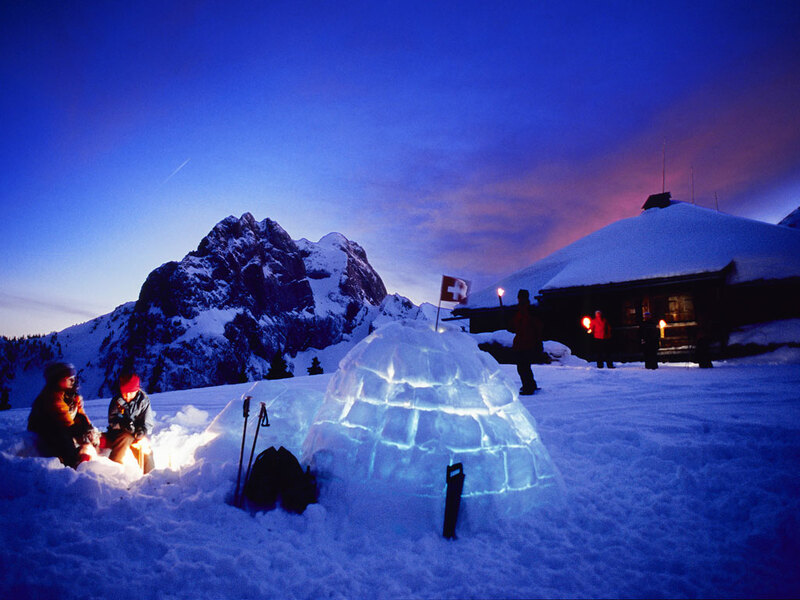 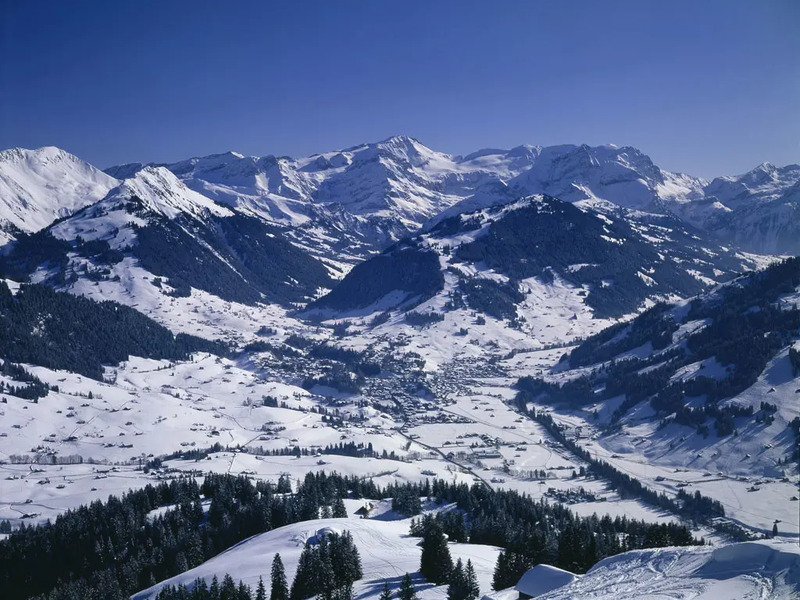 The world-famous ski resort of Gstaad is home to the skiing jet set. 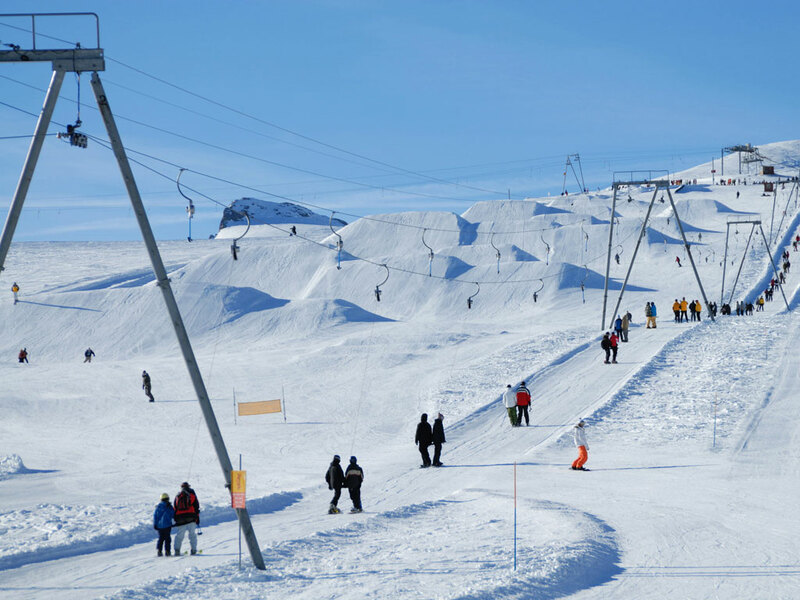 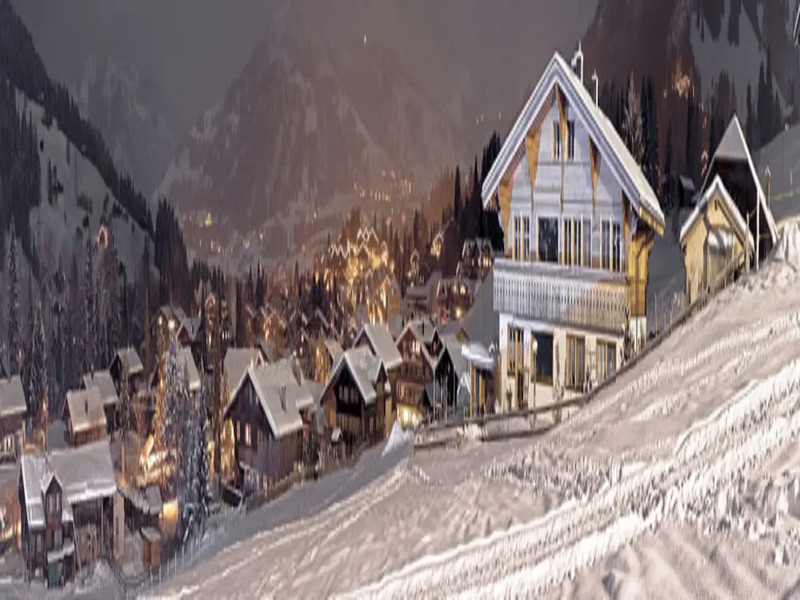 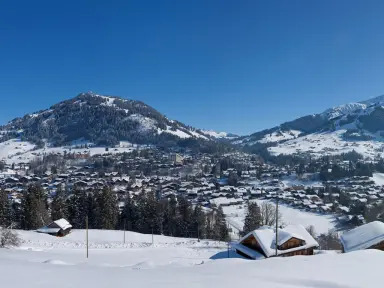 This fashionable and rather glamorous ski holiday destination attracts many movie stars and other celebrities who like to be seen on the slopes. 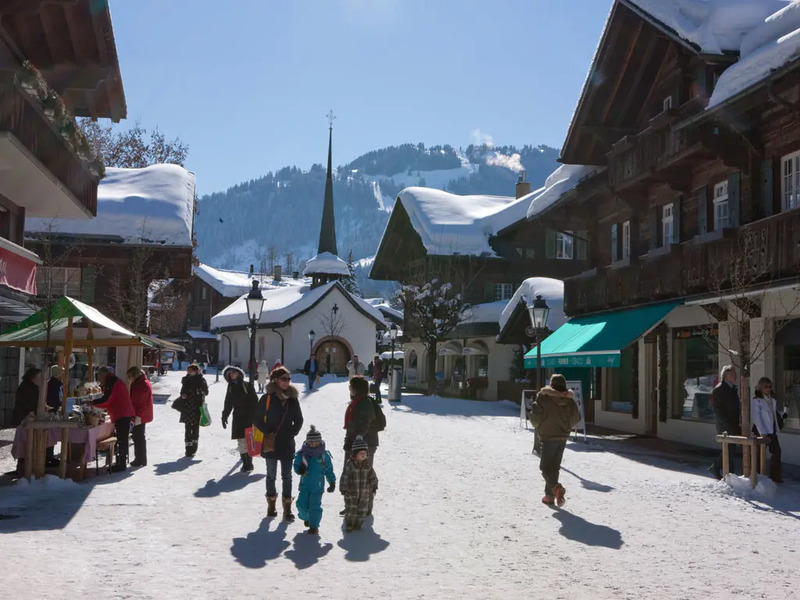 Behind the mask of fur coats, expensive cars and caviar, the pleasant alpine village of Gstaad lies a little hidden but there all the same. 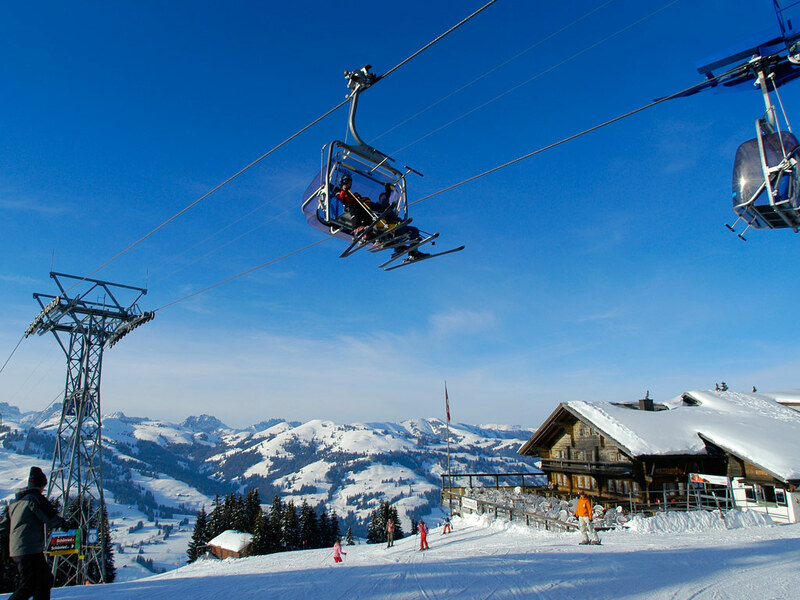 All 6 ski areas are connected by train and ski bus. 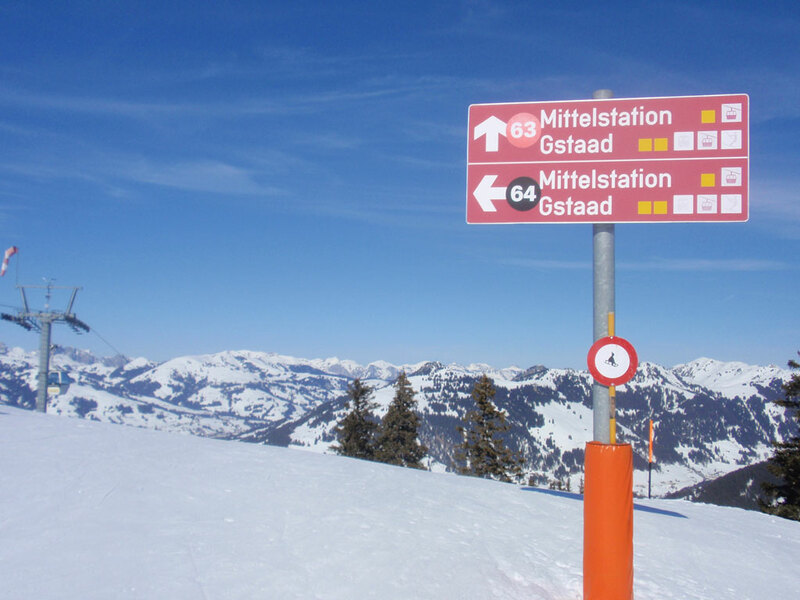 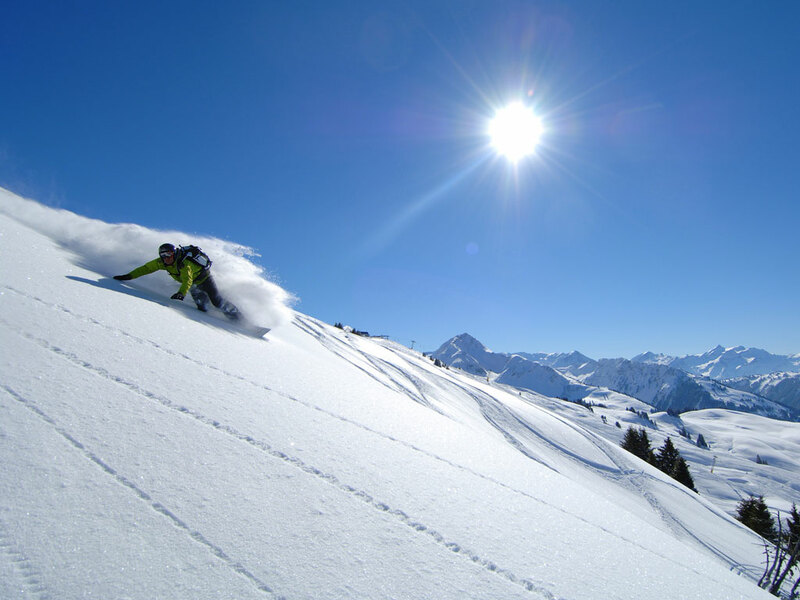 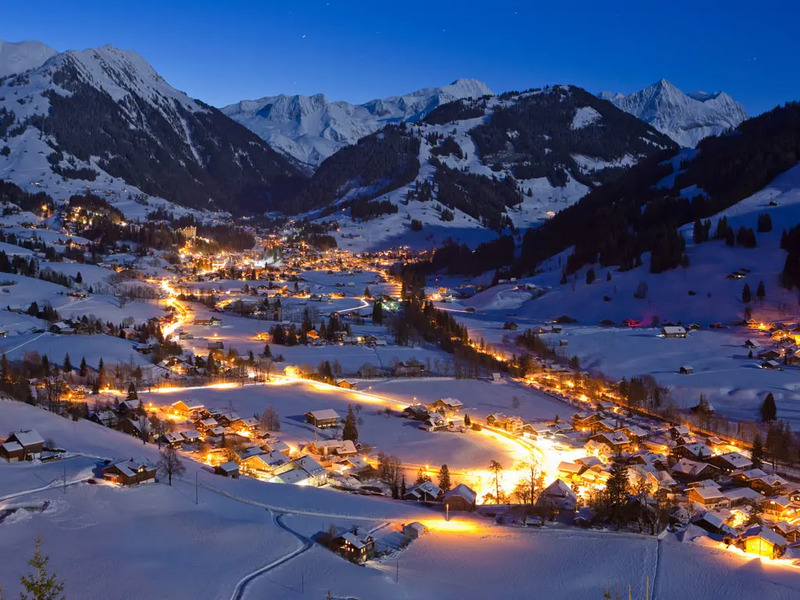 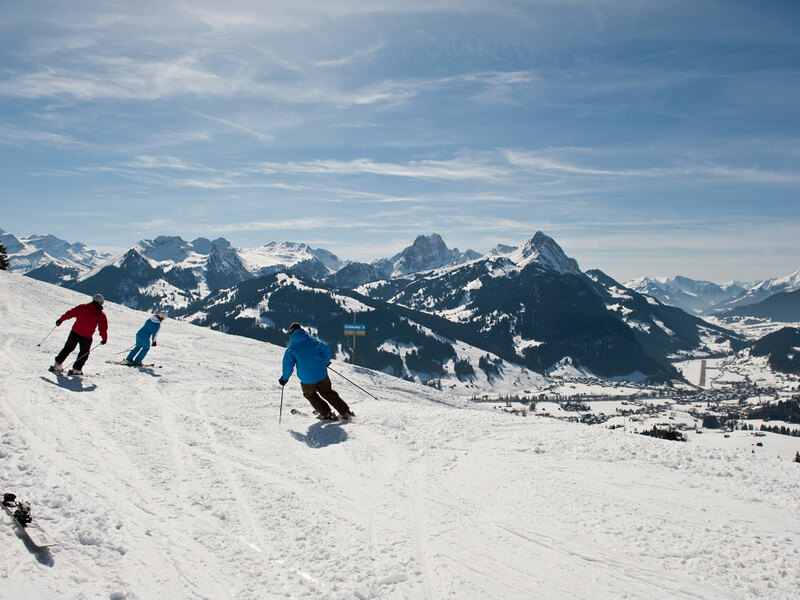 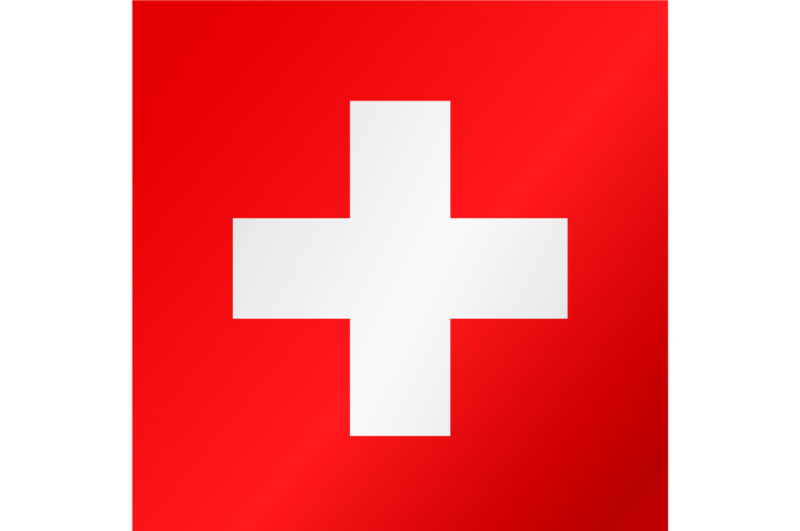 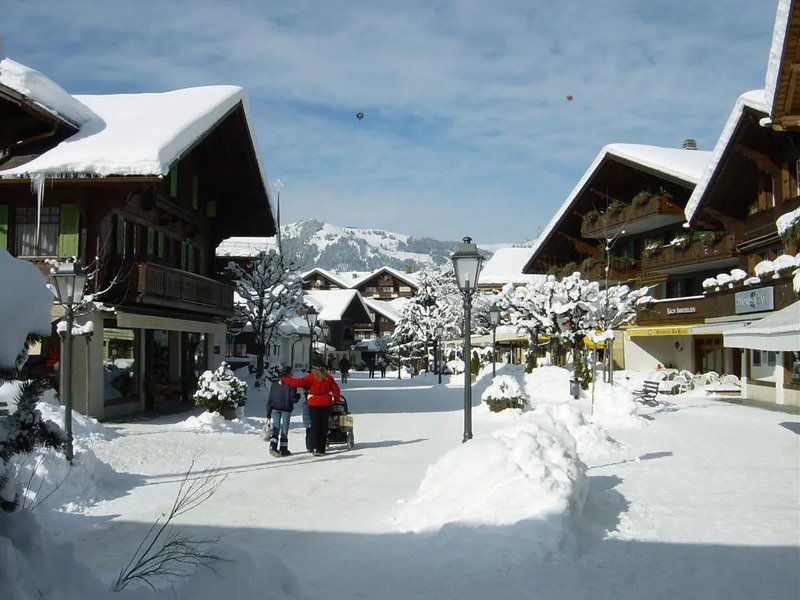 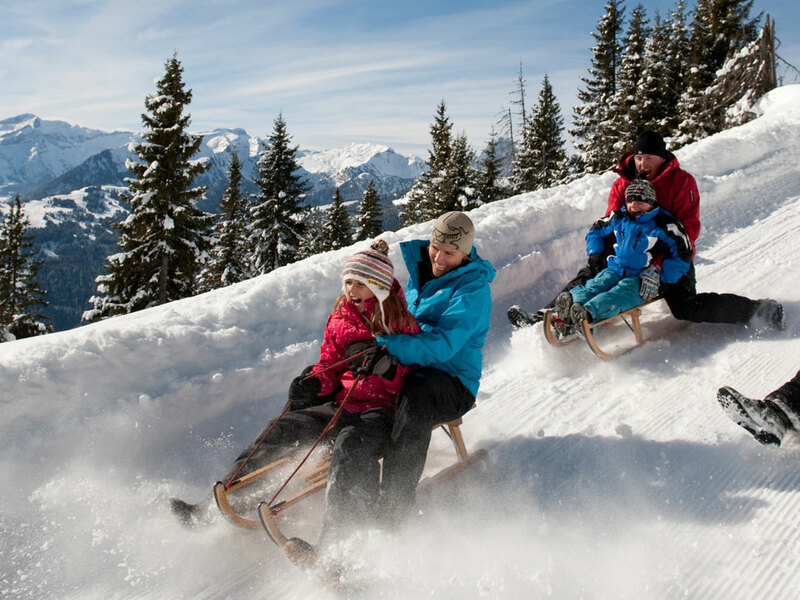 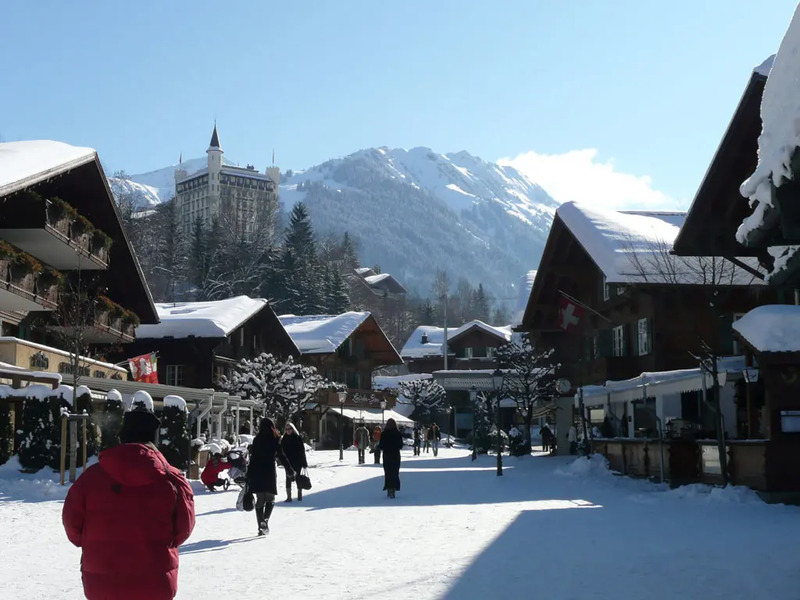 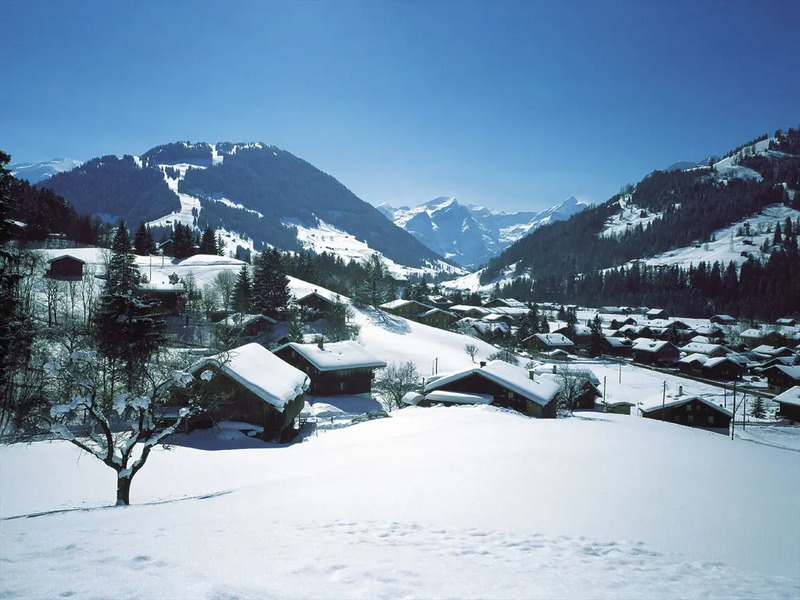 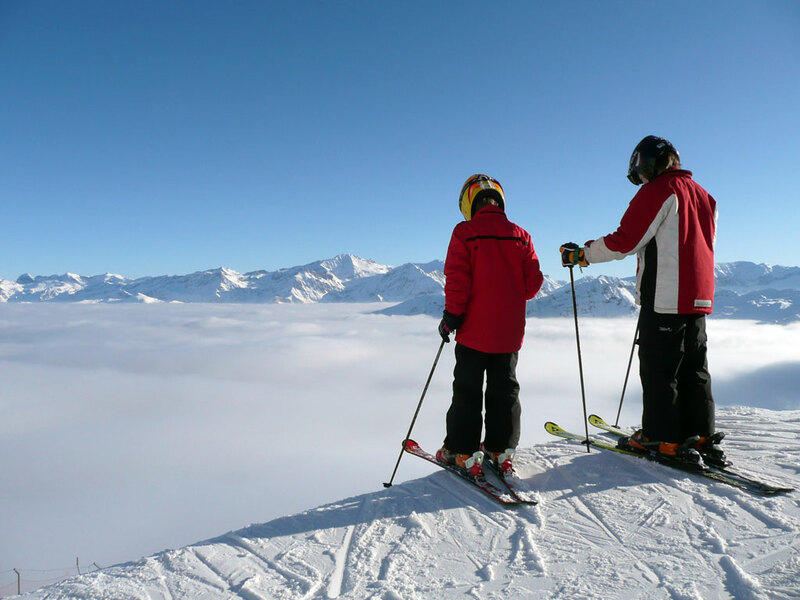 The entire Gstaad ski area makes up some 250 kilometres of ski slopes. 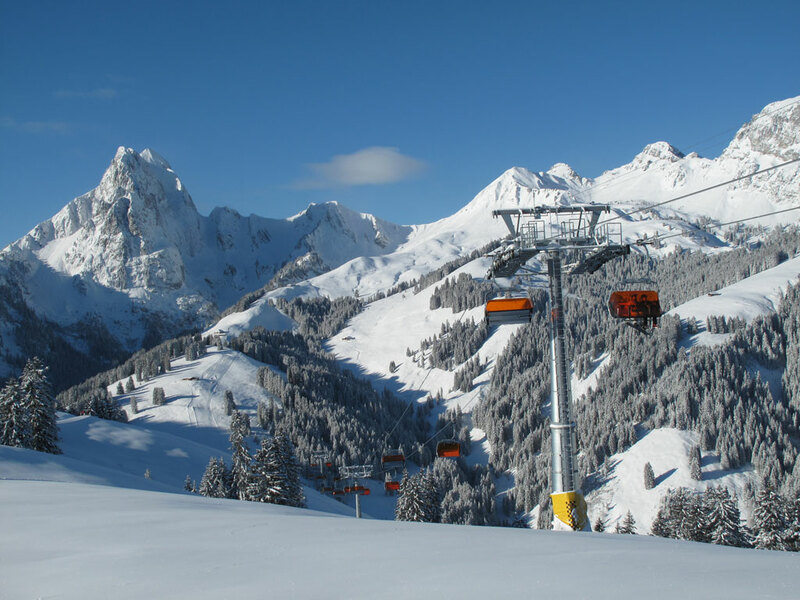 The slopes in and near the resort centre are perfect for beginners and intermediates and those looking for more challenging skiing should take a Gstaad Super Ski Region ski pass which covers the ski areas of Gstaad, Château-d'Oex, Rougemont, Saanen, Villars, Leysin and the Diablerets glacier, offering enough slopes to keep even the most demanding skier happy. 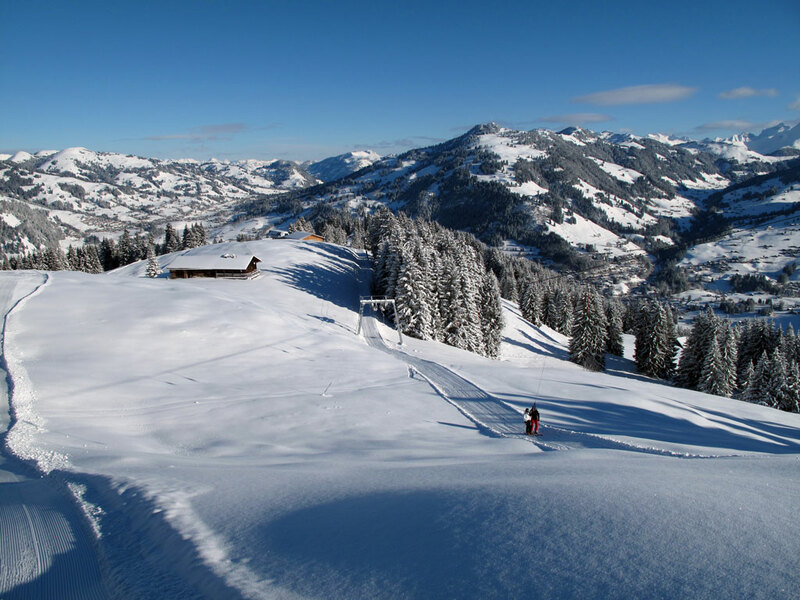 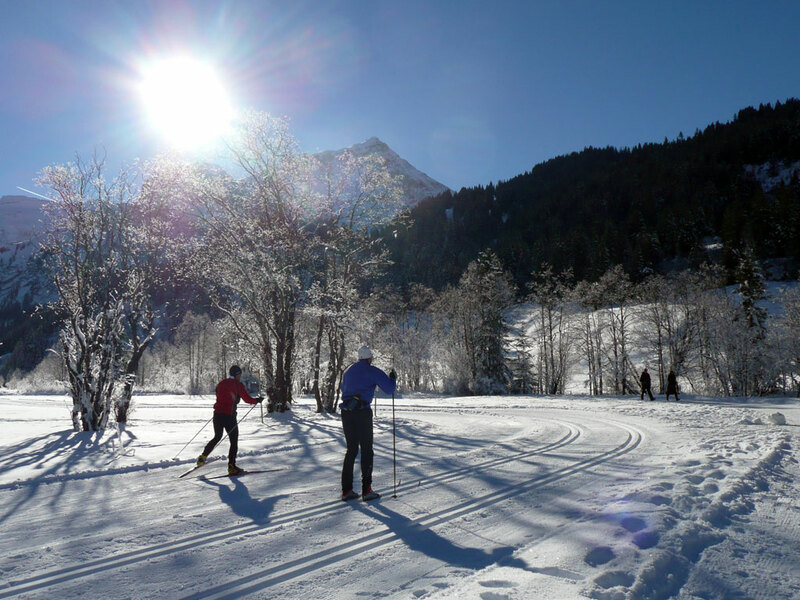 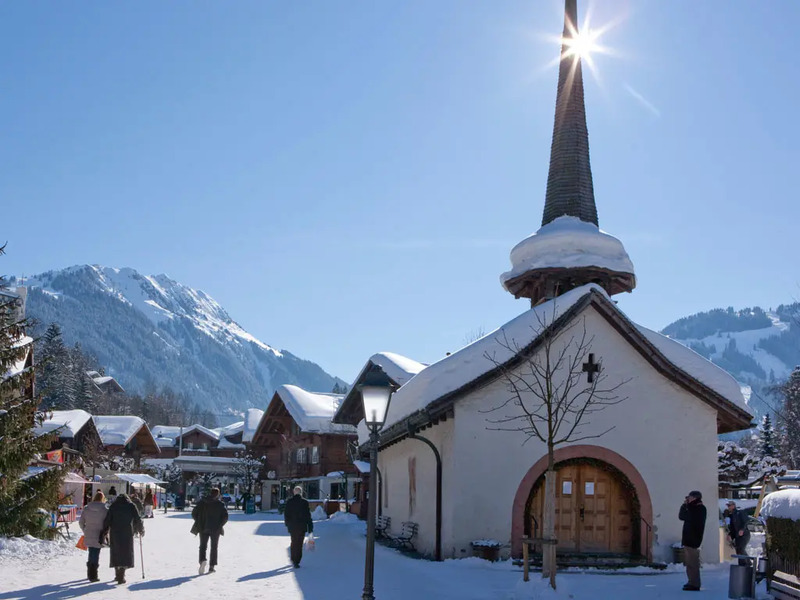 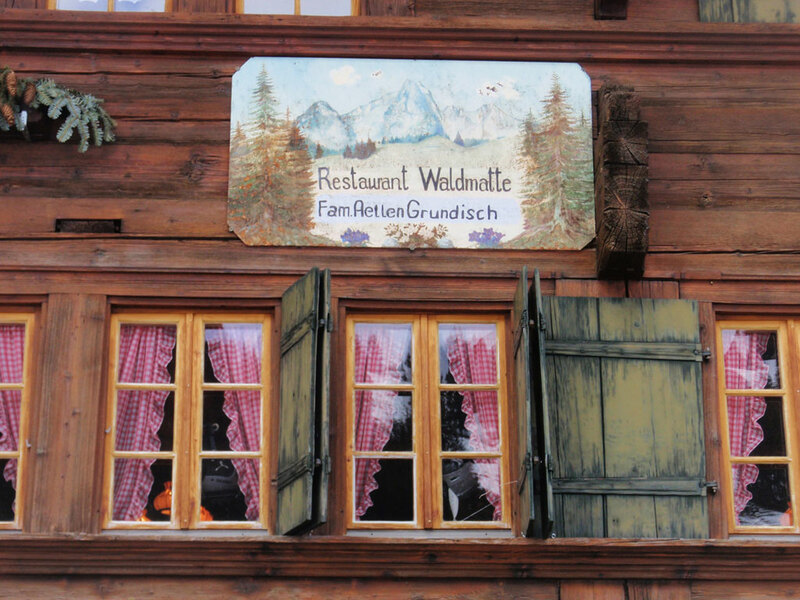 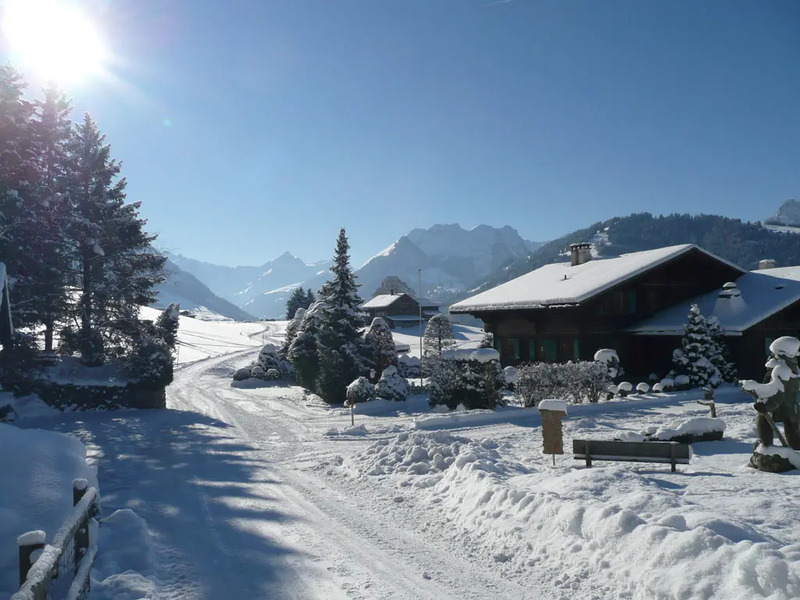 Cross-country skiers and hikers will really appreciate Gstaad too with endless trails and paths to choose from. 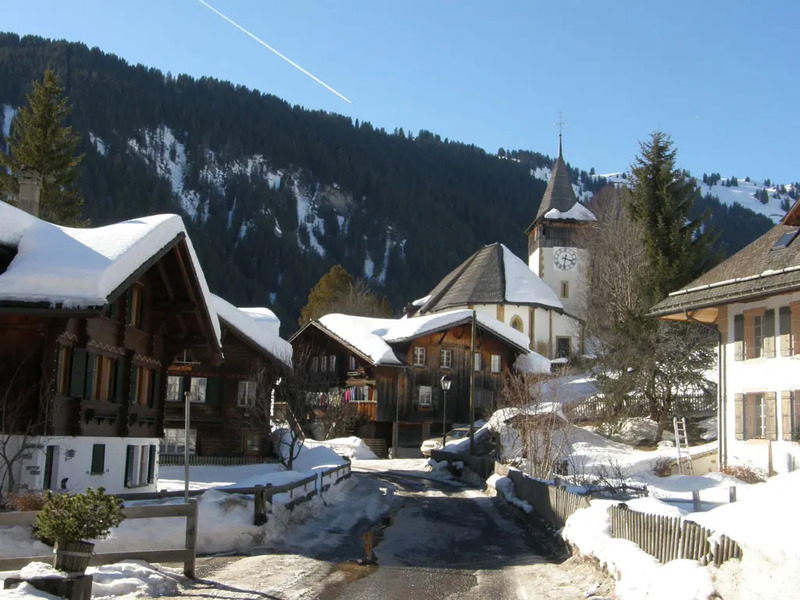 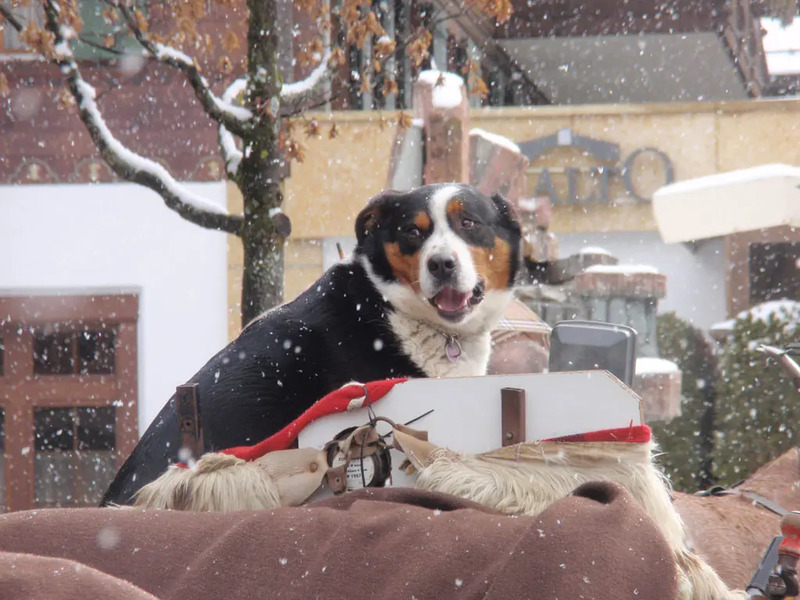 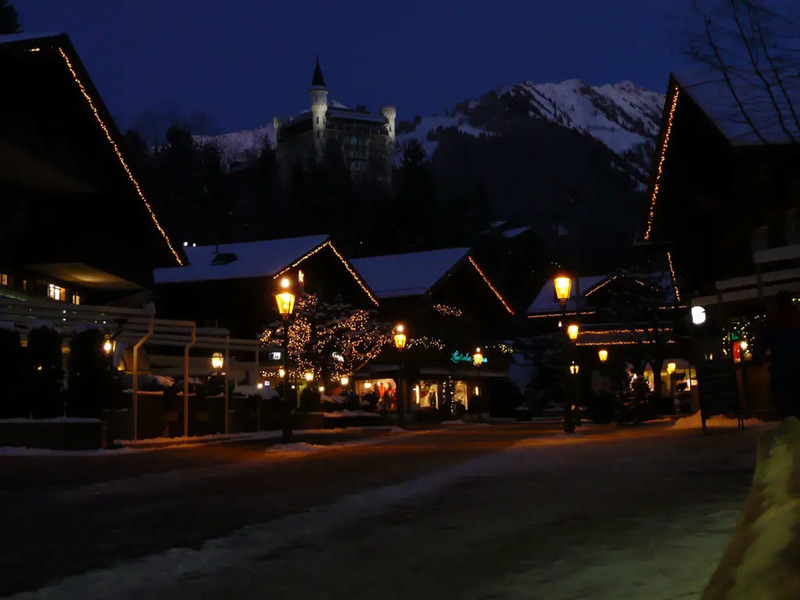 In Gstaad, you'll find a varied and trendy apres-ski scene with some good, but not too crazy, nightclubs and even though the prices are generally rather high, you can find some more reasonable venues if you look around.